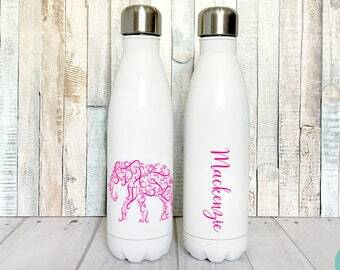 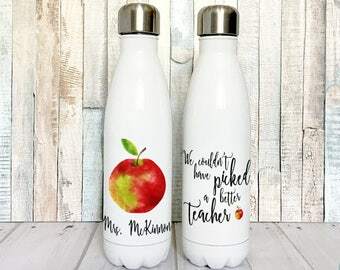 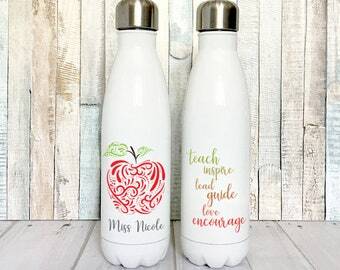 Our nurse appreciation water bottles make the perfect gift for your child's school nurse, a new graduate from nursing school or for all the hard working nurses at your local hospital or clinic! 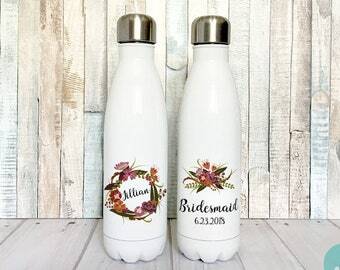 Featuring our exclusive scroll heart design, this water bottle will warm her heart. 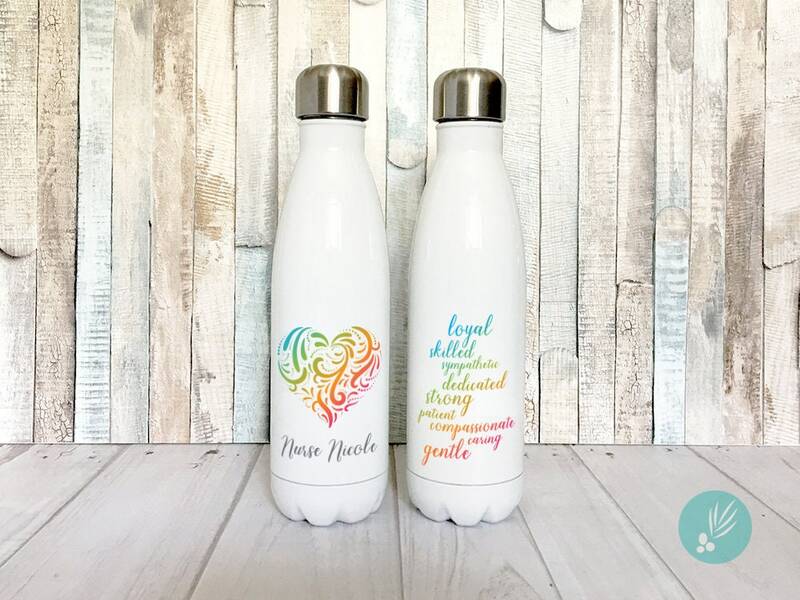 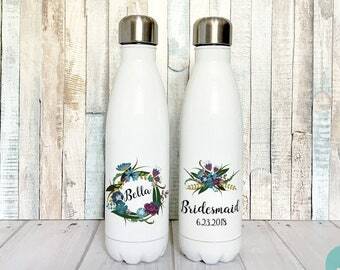 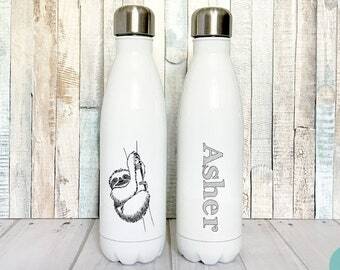 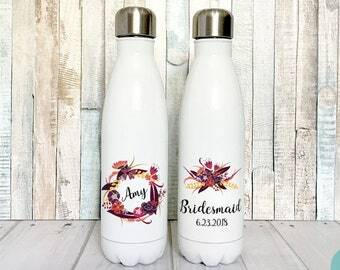 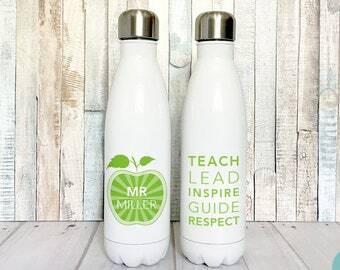 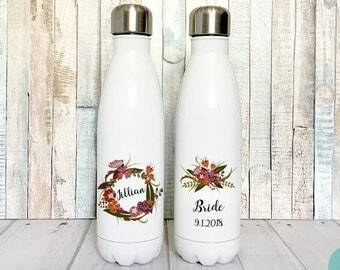 This water bottle features a double sided design: Side 1 - Personalized name with scroll heart graphic; Side 2 - Text: "loyal, skilled, sympathetic, dedicated, strong, patient, compassionate, caring, gentle". 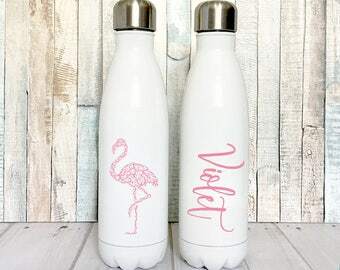 Please view our color styles by scrolling through the images above. 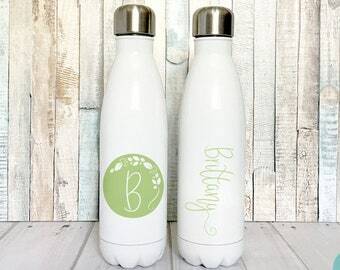 If you choose solid, please view the color chart and leave your color choices in the notes to seller. 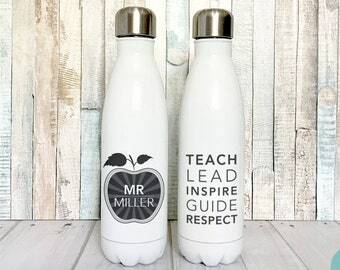 See "PERSONALIZATION" below. 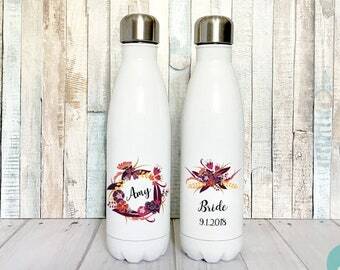 We use high quality, commercial grade equipment to permanently print our designs directly onto our products, resulting in bright, vivid colors that will never peel or fade.